Explore our beautiful community through our photo gallery. Contact us today to schedule a tour! Dayton Crossing invites you to Denver, Colorado. Our apartments for rent have so much more to offer than a place to live. We offer a luxurious lifestyle of relaxation and convenience. You can see this by scrolling through the pictures of our apartments. With an excellent on-site management team, we are confident you will enjoy your stay. Make sure to ask about our reserved and garage parking, making it easy and convenient to get to your home. We invite you to schedule a tour of our studio, one, and two bedrooms for rent in Denver, Colorado. 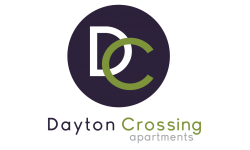 Dayton Crossing welcomes your pet! Our apartments accommodate up to two pets per home, with no weight limit. Additional deposits and breed restrictions apply. Your pets will love it here!